There was a time when smartphone JRPGs meant something to me. Whether it was being able to have a free, immersive experience with me on the go or having something to play when I didn’t bring my portable consoles out as much, smartphone games were a part of my life in lunch breaks and train trips and I was pretty addicted to certain ones like Final Fantasy Record Keeper. As much as I enjoyed these experiences, I fell out of them sometime last year when I became overwhelmed with the amount there were to play and started bringing consoles like my Vita and Switch out with me more in preference of bigger experiences with a concrete beginning and end, despite still enjoying them from time to time. I’ve still kept smartphone games on my phone though, as they’re still enjoyable for their collection systems, bite-sized stories and gameplay tributes to console games I love just in pocket form, so here are some smartphone games I used to play that as I play more big experiences I sometimes wish I could go back to. 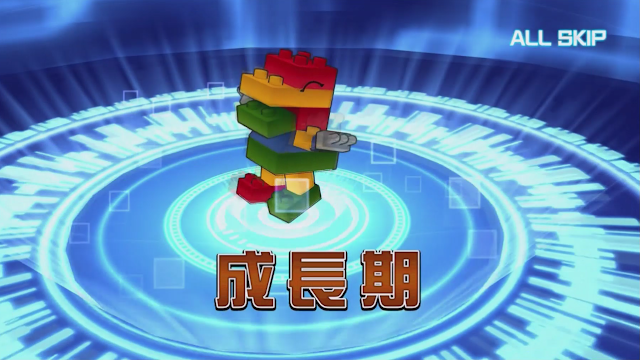 As a fan of the Digimon Story Cyber Sleuth console games, I was very pleased to see the familiar models of my favourite Digimon used in the very good-looking smartphone game Digimon Links. I was happy to see it get localised late last year and spent a little time with it building my DigiFarm, completing its main quests and trying to get as many Digimon as I could in it through hatching DigiEggs in its Digimon system both reminiscent of Digimon Story Cyber Sleuth and Digimon World with the convenience of being on smartphones. I wanted to get really into Digimon Links and collect and raise as many Digimon as I could, but I fell out of it around the time another smartphone game came out and even more so when I started collecting Digimon in Digimon Story Cyber Sleuth - Hacker’s Memory. Digimon Links is really convenient for some quick collecting on the go though and the fact there’s a library of Digimon to collect waiting for me in my smartphone really makes me want to get back to it some time to try to collect them all. I was very excited for the release of the Alchemist Code to the point where I even did a post about it, but I admittedly haven’t played it much outside of its release month. I did enjoy finally having it in English and getting the hang of its complex systems more easily and I found a lot of its character descriptions very interesting as I got to know its world at my own pace. I mentioned in my main video about the Alchemist Code how its surprising opening scene drew me in, but I feel like I haven’t taken the time to really dive into its story properly yet and get to know the events leading up to that scene. Someday, I’d like to really take on the tactical challenges of its story mode to get to know this smartphone JRPG that I was so happy to see get localised and give it the time it deserves. Speaking of tactical smartphone JRPGs, Fire Emblem Heroes is still one of my favourites, even if I haven’t played it for a while. 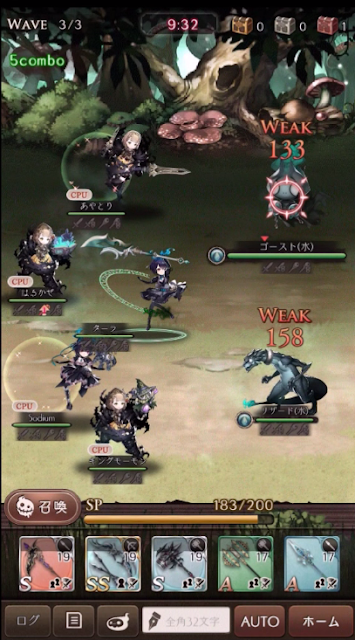 Its version of Fire Emblem’s core gameplay is somewhat condensed but since it brings the core aspects to make it a worthy smartphone experience with the weapon triangle in tact, varying fields that require strategy and characters from the series with different stats and classes, it feels like a decent tactical JRPG experience on smartphones. 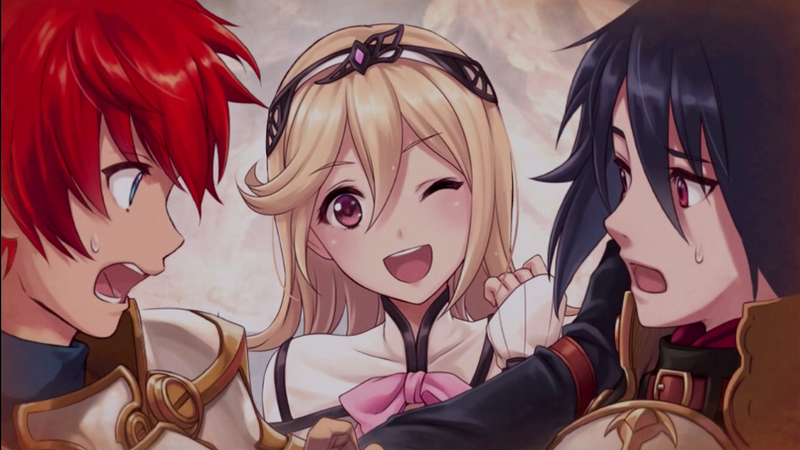 Fire Emblem Heroes is also one of the kindest smartphone games with a gacha system for those looking to collect its characters - it offers a free gacha go each time it puts in new characters and when I played it more often, I usually found it quite generous with its in-game currency offerings and never felt the need to buy in-game currency because I always got the ones I wanted eventually. I’ve left my party of high-ranked characters alone for a while and remember they need leveling, so I’d like to get back into Fire Emblem Heroes again sometime to get back to a smartphone game I put a lot of time into in the past and to see how it’s changed. As a fan of director Yoko Taro’s work on NieR Automata, Japanese smartphone game SINoALICE was something I absolutely had to download, even if I couldn’t understand its finer details in Japanese. SINoALICE was a unique smartphone game I really enjoyed - its unique battle system of using weapons and weapon types to attack with was one I hadn’t seen before and I also really liked its finger-sliding mini-game for leveling up and with plenty to still learn about its job system, there are still things waiting for me to do. My favourite part of SINoALICE was its story tone, but since my Japanese isn’t perfect it takes me longer than I would like when getting through the story parts that have the eerie tone I enjoy from Yoko Taro’s stories. I plan to get back to SINoALICE at some point to get more into its story and gameplay, but it’ll probably won’t be until it’s in a localised form or when my Japanese improves. World of Final Fantasy: Meli-Melo was a more recent smartphone JRPG discovery in Japanese that I only stopped playing in favour of my portable consoles even though I found it interesting. 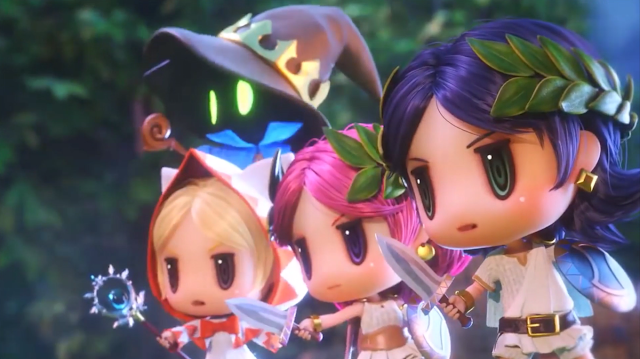 While it doesn’t provide the exploration World of Final Fantasy’s console experience does, it does include the unique stacking mechanic for battles and the adorable miniature versions of Final Fantasy monsters. The battle system is quite different to World of Final Fantasy’s original one, but I liked revisiting my favourite characters from its console experience, so I hope to get back to it at some point to revisit more familiar elements and to get nostalgia for a game I really want to see a true sequel for. The Tales games are something I criminally haven’t gotten into enough, but Tales of the Rays was on its way to encouraging me to finally do something about it as it introduced me to its series’ characters in its pocket-sized experience. 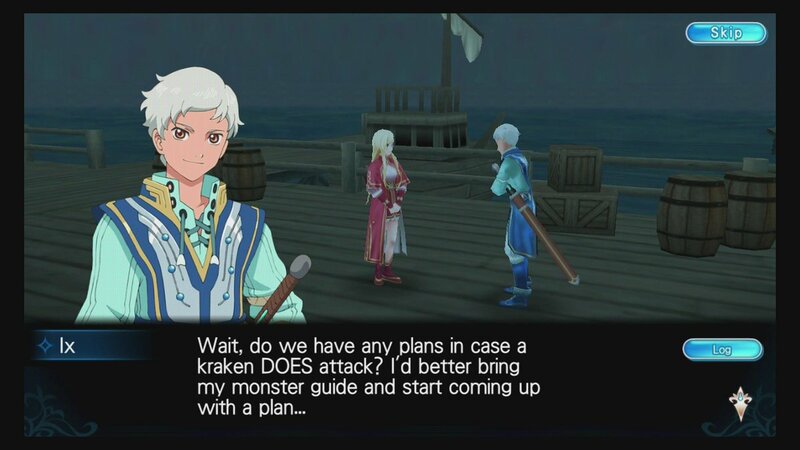 What I really loved about Tales of the Rays was how it actually felt a lot like a JRPG in the usual sense - you can run through maps to find treasure and run into monsters and the swipe-screen active battle system both took advantage of the touchscreen well while also feeling close to a console experience with its special attacks and base mechanics. While I would prefer to play a full Tales game to this mobile experience, Tales of the Rays is one of few smartphone JRPGs I’ve played so far with an exploration element, so I wanted to keep it on my phone to play more. However it was announced recently that the app’s service will be suspended in the West at the end of May, so unfortunately it seems I left this one a little long, so if you haven’t checked it out yet, now would be the time to get it before it disappears. In the meantime, since I was only a few chapters in, I may re-download it in Japanese or alternatively commit myself to playing a full Tales game since this smartphone game with fun exploration will sadly be saying goodbye to its English version. I played Kingdom Hearts X before it rebranded itself as the Union X version and was drawn into it with its promise of more story for Kingdom Hearts’ complex universe. I got about 100 levels in and enjoyed its active battles that made swiping with the keyblade easy and its medal system that was both a fun and strategic battle element as well as a great collectible. I know I can watch a lot of this story arc with much nicer graphics in Kingdom Hearts’ HD editions, but there is still a piece of me that would like to get through this the way it was initially created. With hundreds of levels to explore to get to this conclusion though, I’ll realistically experience this story on consoles before I play through it, but with its exploration, cute avatars and medals, I’ll be keeping Union X in mind at least until Kingdom Hearts 3’s eventual release. Do you play smartphone JRPGs? What are some of your favourites?